So lately, every U of T student and their cat has been posting to Facebook and Twitter complaining that they didn’t get a grant that was, as they see it, owed to them by the Ontario government. 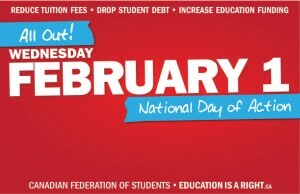 For those of you who weren’t aware, Ontario premier Dalton McGuinty recently pledged to offer Ontario students a 30 per cent rebate on their annual tuition fees. But of course, like many politicians before him, he failed to read the fine print: that part time students, mature students, graduate students, and even students who took a year off before coming to university would not be eligible for the grant. Now while I in no way wish to seem like an apologist for McGuinty, or the Ontario Liberals, and am myself peeved when politicians so flippantly break or bend promises, I have to say that I don’t really have a great deal of sympathy for Canadian students on this one. For a group that is given so much, we also seem to complain quite a lot. With this tuition break, we’ve seen the Ontario Government try to reach out and lend a hand, only to be slapped in the face by those of us who feel that they have been neglected. But it is a step in the right direction, a break for students in a difficult time, and one that other members of the Liberal party have claimed that they can’t even afford. What I’m trying to say is, and I sincerely hope I don’t sound too trite: be grateful for what you have. Why I’m grateful and why you should be too! As an international student, I pay almost four times as much in tuition as a Canadian resident or citizen. What some people fail to realize is that this massive gap is not due to the fact that tuition for international students is hiked, but that resident tuition is highly subsidized by the federal government. But I’ve been contributing to the economy, holding at least two jobs for my last four years here, and I pay taxes too — probably just as many as you do — and still I pay quadruple what resident students do. So why should you be grateful? Well, here’s why I’m grateful, maybe you can connect the dots and figure out why you should be too! First of all, with the $25,000 a year that I pay for tuition, I could maybe afford to go to a half-decent state school in the United States. And aside from the standard of education that I’d not be privy to, surely I’d also miss out on the opportunities, success and the prestige that will undoubtedly follow my education here. Secondly, for a similar level of education to what I’m getting now — at say, Columbia or Cornell (both ranked BELOW U of T in last year’s Times Higher Education world university ranking) — I’d have to shell out between $41,000 and $45,000 a year. No thanks, I’ll stick with my Ol’ Toronto mother ever dear, and save a measly 15,000 bucks! And lastly, on top of the tuition benefits, I could not leave out one of the greatest things on this planet earth: Canadian Health Care. Knock the wait times all you want, but when I needed a life-changing operation two years ago — one that I would not have been able to afford anywhere else in the world — the Mountie and Maple leaf were ready and willing to do it for me, at no cost at all. So, after all this, I’m going to say what I feel no other Canadian (wait, I’m not Canadian) seems to be willing to say. THANK YOU CANADA! Thank you for giving me a world-class education at a fraction of the cost; for trying to make it easier for students to have access to an education; and for striving to make it even better than it is now. Next Post Aliens sucking the creativity out of your soul?